I am late to the party when it comes to juicing - that much I know. I’m so late that I am practically the guest that arrives as you are scraping the remnants of cheese from the cheese board and collecting the olive pips and beer bottle lids from the pot plants. So maybe that is a slight exaggeration. The thing is I have watched the juicing revolution play out before my very eyes for - oh at least the past five years - but even the sight of glorious jewel coloured juices in the most gorgeous wanky swanky mason jars which is like the gold dust of instagram fodder, was not enough to get me past the idea of drinking spinach and kale. Don’t get me wrong, I like my spinach and kale, but preferably in a salad with a drizzle of olive oil and sprinkled with pine nuts, shaved Parmesan and a hand full of cranberries. Oh damn, I’m drooling. Excuse me for a minute. OK so for a long time now I have liked the sound of drinking healthy homemade juices, but much like I like the sound of waking at dawn to run along the beach, liking and doing are two very different scenarios. I say now, because after sitting up late nursing a head full of bricks and a leaking nose and watching an episode of Guiliana and Bill where Guiliana declares that juicing is like SO GOOD for fighting colds and stuff, I finally got off my backside googled the crap out of the benefits of juicing, bookmarked some not completely off-putting juice recipes and then woke up in the morning and went and brought myself a juicing machine and a basket full of fresh fruit and veg including bunches of spinach and kale. This is not like the time I woke up with an immediate urge to rollerblade and spent a small fortune on a pair of rollerblades that guaranteed to have me blading like a Bondi hipster. Nope, this time I went into it determined to use the power of juicing to fight this bloody cold of mine and ended up discovering that drinking green stuff really isn't all that bad. In fact it is good and when you start adding other fruits and veggies to the mix it is better than good and it seems that I have become an official juice convert. So it turns out that juicing offers a bootful of health benefits including a quick and easy way to absorb some of those fabulous immune boosting nutrients that fruits and vegetables are full of. When you eat these food whole (i.e. 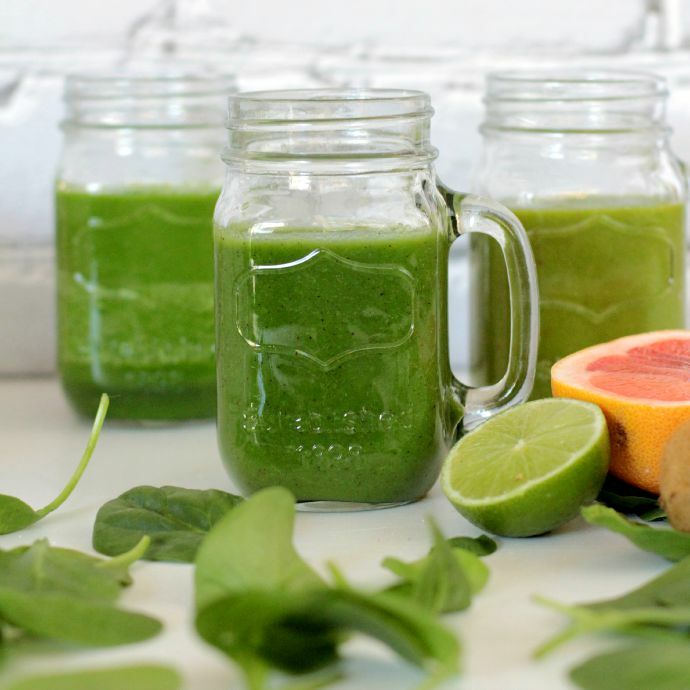 not processed) they retain their valuable vitamins and minerals and plant chemicals that they can often lose when you consume them in many of the pre bottled juices. If you have kids who are all that fond of eating fruit and veg then juicing is a fun way of conning them into getting their daily nutrients. Spinach and Kale are like the Batman and Robyn of the vegetable world. They are loaded with all sorts of powerful compounds which have medicinal superpowers. 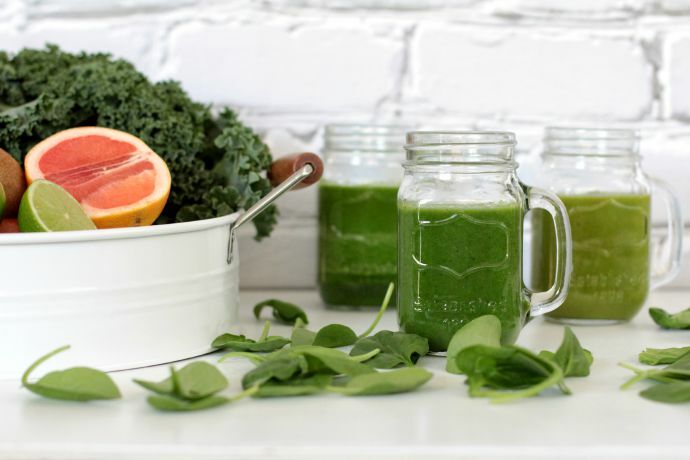 Kale is higher in vitamin c than most other veggies and a cup of raw kale actually contains more vitamin C than a whole orange, is fat free and actually contains numerous cancer fighting substances. Spinach is high in anti oxidants, is known to boost eye health and anti aging and the beta-carotene it contains has also been shown to help combat many cancers including breast, prostate and ovarian cancer. To the bat mobile … or in this case the Juicer! All well and good being a super hero of the food variety huh — but how does do they taste to drink? Not . that . bad . at . all. 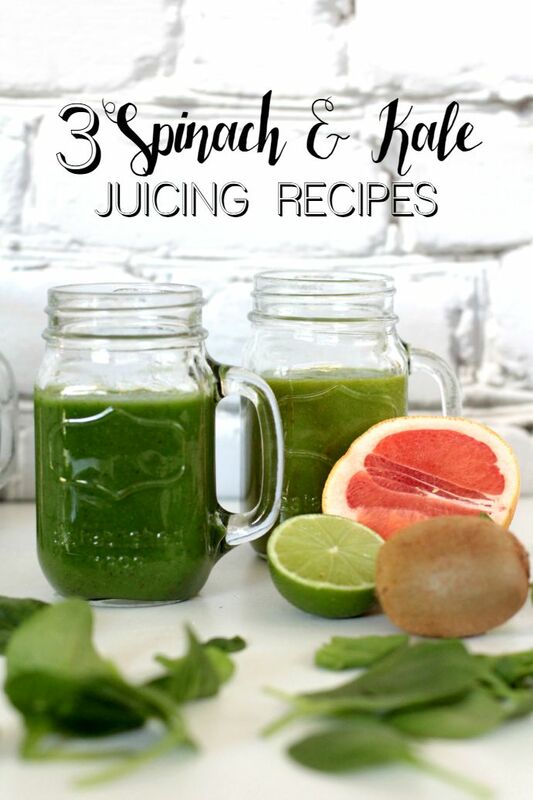 I played around with a whole load of juice recipes that contain Spinach and Kale and these are three that I came up with that are more than just drinkable. They are enjoyable. If this post was a video, here is where you would see me do a very lame churn the cheese pot dance because I am so happy with how these recipes taste, but since it’s not a video, you will just have to take my word for it and try them for yourselves. Blitz all ingredients in your juicer and add as much iced water to achieve the consistency you prefer. Fresh produce is the key when it comes to juicing as it ensures the integrity of the nutrients and their benefits. 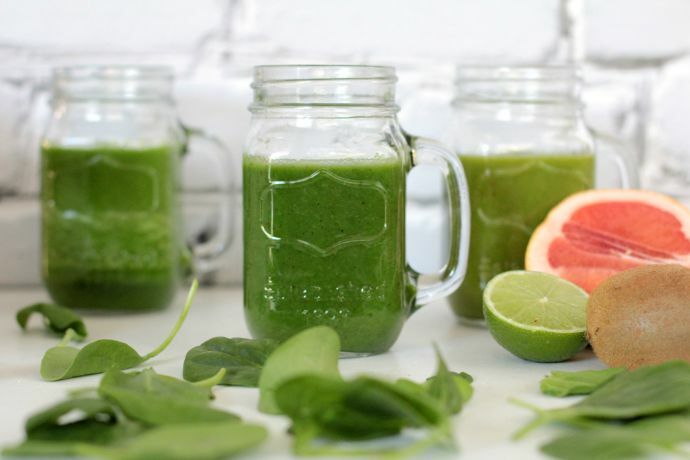 Coles is all about fresh produce and if you are keen to give this juicing gig a whirl in the immune boosting fight then you are in luck because the leafy greens such as kale and spinach are in season and there is an abundance of supply in store. *Free delivery valid on your first order or any Wednesday when you spend $100 or more, excluding Tobacco products. Don’t forget to check out the Coles recipe website and Taste.com.au for more delicious juice recipes. Do you have any awesome juicing combos I really have to try? Girl Chat - Would you Or Wouldn't You? Screw You Guilt! You're Dropped!